Borussia Dortmund vs Monaco – Wednesday 17:45BST/18:45CEST – BVB Stadion – Dortmund. Originally scheduled for Tuesday night Borussia Dortmund vs Monaco had to be rescheduled after Borussia Dortmund’s bus was hit by several explosions on the way to the stadium. Borussia’s Spanish defender Marc Bartra was injured, and had to be taken to hospital, but appears to be fine. The events will definitely overshadow tomorrow’s game, and could have an impact on Dortmund’s performance. Dortmund and Monaco are each aiming to reach a fourth UEFA Champions League semi-final. Dortmund’s last semi-final outing was in 2012/13 when they went on to finish as runners-up to FC Bayern München. Monaco have not been in the last four semi-finals since losing to FC Porto in the 2004 final. With both sides having previously registered high scoring games in this season’s competition, this match up will be sure to test both defences to their very limit. Dortmund haven’t exactly had the warm-up to this fixture that they would have liked. They were comprehensively beaten in Der Klassiker on Saturday evening by Bayern Munich, 4:1—a humbling and bitter experience that will need to be forgotten quickly. Prior to their harsh lesson in Munich, Die Schwarzgelben had a relatively good run of form. Bundesliga Matchdays 25 to 27 yielded five goals for and only one against, picking up a total of seven points from the nine available. Their last UEFA Champions League outing was close to perfection; they swept aside Benfica 4:0 at home, and top-scorer, Pierre-Emerick Aubameyang achieved a hattrick. 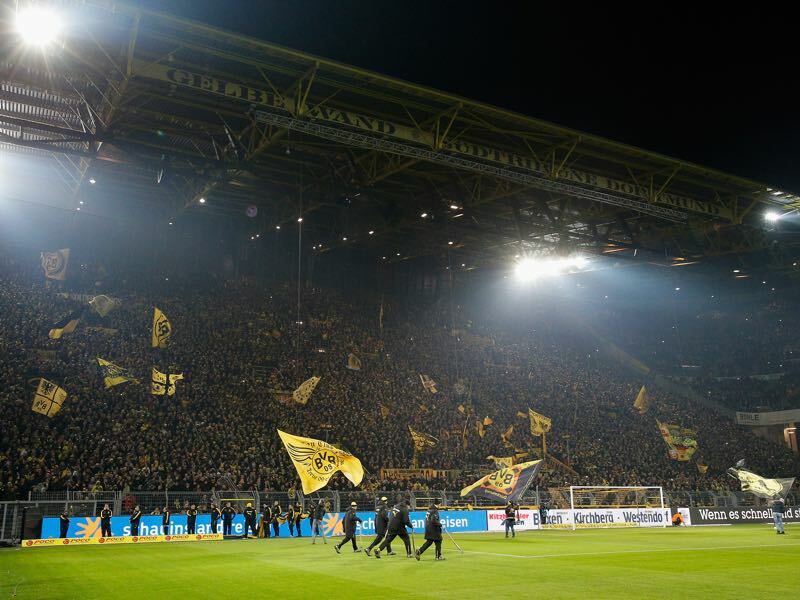 Another display in the “BVB Stadion” (renamed on European nights due to UEFA’s sponsorship rulings) would be especially welcomed by all associated with the club. Thomas Tuchel will nervously await the outcome of the fitness tests carried out on Monday on some of his most key players. Marcel Schmelzer and Marc Bartra returned in time for the weekend’s fixture in Munich, but Julian Weigl and Shinji Kagawa are still doubtful. However, Tuchel will have been buoyed by Marco Reus’ return to light training on Sunday. The forward was spotted undergoing light running and simple ball work at the Brackel training ground, although his recovery is not expected to be finalised in time for this Quarter Final fixture. AS Monaco arrive in town as the current French Ligue 1 leaders, having lost only one league fixture in 22 outings—an incredible run of form. Their last Champions League fixture was the breath-taking Round of 16 tie versus Pep Guardiola’s Manchester City. Les Monégasques eventually went through on away goals after a spectacular 6:6 draw. Leonardo Jardim will go into this first leg without the ability to select influential defensive midfielder Tiemoué Bakayoko, who will miss the game due to suspension. A recent debutant for the French national side, Bakayoko picked up his third yellow card in the Round of 16 second leg, which rules him out of this crucial Quarter Final first leg tie. The Red and Whites will welcome Radamel Falcao back to European action. 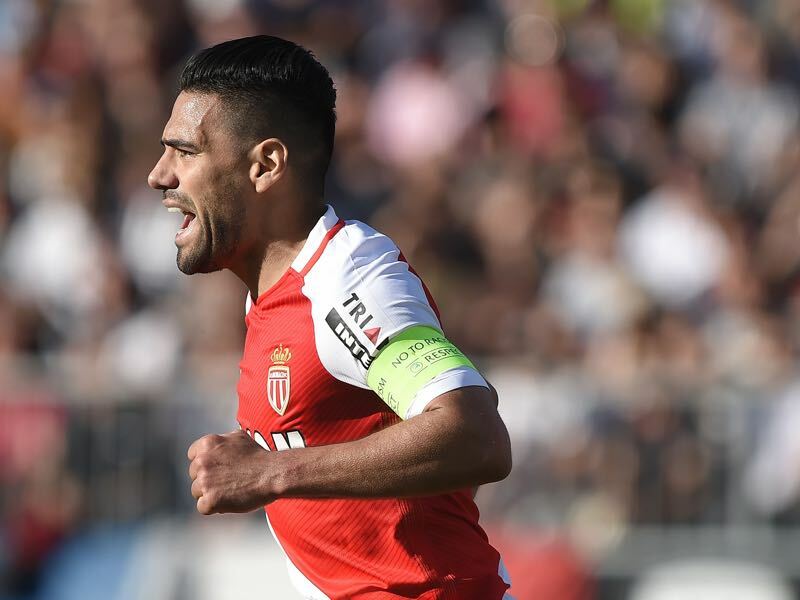 On the weekend, Falcao was restored to the Monaco starting line-up for the first time since the end of February, and the Colombian came up with the all-important 61st minute winner. The French teenager has been a sensation since he arrived in the Bundesliga last summer. Moving to Dortmund from Rennes for €15m, he soon started to show the type of display that had backed up Dortmund’s desire to capture his services. Having played in 26 of BVB’s 28 Bundesliga matches, the 19-year-old has scored six goals whilst turning provider 10 times—an empathic start to his Dortmund career to say the least! Thomas Tuchel has repaid his good form by selecting him for all of Die Schwarzgelben’s eight Champions League games. The left-winger found the net in the demolition of Legia Warsaw, scoring his first UEFA Champions League goal while also setting up three other goals in the 8:4 victory. With an ability to run at defenders at speed and in full control of the ball, he is a prominent figure in Dortmund’s fast flowing attack. After missing the last four games due to a hip injury Radamel Falcao came back with a bang this last weekend. During the Ligue 1 fixture versus Angers, the Columbian striker demonstrated a trademark of poachers—dispatching his shot into the corner of the goal. This instant return to form ensures that the Monaco club captain will enter this fixture in high spirits. Falcao has played six games during the current Champions League campaign, two in the qualifying round and then four in the main competition. He has scored in every single one of those six games; he is clinical in every sense of the word. A deadly finisher, he will convert even the slightest of chances, a skill that brings with it a very real danger to Dortmund on Tuesday night. Borussia Dortmund have reached the UEFA Champions League/European Cup quarter-finals eight times in total and three times in the last five years. AS Monaco are in the quarter-final of Europe’s elite club competition for the fifth time. The Black and Yellows have lost only one of their 12 home games in UEFA competitions under Thomas Tuchel (the remainder were nine wins and two draws). Monaco set a new UEFA Champions League record against Manchester City—never before has a team conceded six in a knockout tie and still progressed. Borussia Dortmund’s home record against French clubs is positive: four victories, three draws and one defeat.